26. AFRICA FESTIVAL (2014) | AFRICA FESTIVAL WÜRZBURG - Sie suchen Infos zum 27. Internationalen Africa Festival? Hier erfahren Sie mehr!26. Africa Festival (2014) | AFRICA FESTIVAL WÜRZBURG - The Original! 26. AFRICA FESTIVAL (2014) | AFRICA FESTIVAL WÜRZBURG - Sie suchen Infos zum 27. Internationalen Africa Festival? Hier erfahren Sie mehr!26. Africa Festival (2014) | AFRICA FESTIVAL WÜRZBURG - The Original! and yes, weʼre still here - even after last yearʼs flood. Weʼre back and happy to welcome you to the Africa Festival 2014. Last year, we suffered from a huge financial loss, but experienced a big wave of cooperativeness. Many big and small donations, the cooperation of many partners, the support from the city of Würzburg and the Free State of Bavaria made it possible to minimize the loss, so that we are able to continue. At this point, we would like to express our special thanks to everybody who helped us. THANK YOU! This year we invite you to a musical journey through the African continent and its islands. If you travel through Africa, you should bring along nosiness and a desire to get into the new and unknown. This also applies to our programme. Out of 19 invited bands and soloists - 15 have never been our guests yet. There are many things to discover at the 26th Africa Festival - join us. As we had our very own special experience with the (high) water, last year, we could not totally free ourselves from this subject. Thatʼs why we present a lot of musicians from African and Caribbean islands. The route of our island hopping leads us to Guadeloupe, to the Cape Verde, Jamaica, Trinidad and Tobago as well as for the first time to the Comoros. 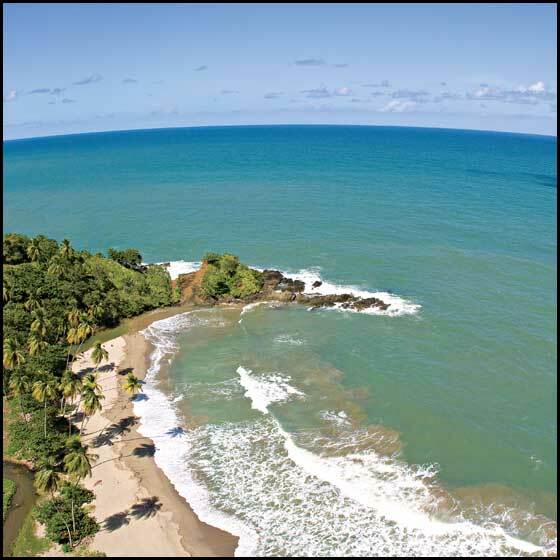 Furthermore, the exhibition at the city Library in Würzburg - with photographs of Rui Camilo - aims one archipelago: Sao Tome and Principe. That sounds quite exotic? Youʼre right! Be ready to be surprised. We promise you: it´s worth it! If someone misses the „big names” this year - yes, we did this deliberately. A festival like ours should and wants to present a wide range of musical variety and particularly present new forms of expressions. Therefore weʼve put our tentacles out to find less known bands and musicians or even newcomers. Look forward to the brilliant young singer Gasandji, who will open the festival. We are persuaded that she is at the beginning of a great career. 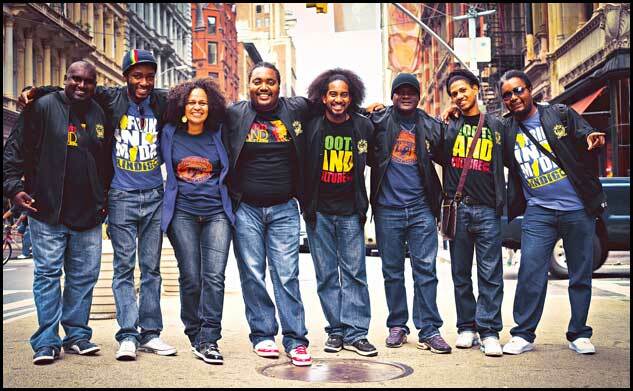 Don´t miss the Garifuna collective, who carries on the tradition of the unforgettable Andy Palacio. 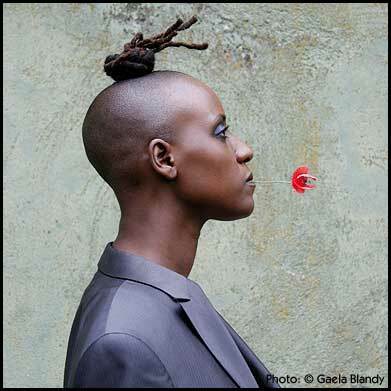 Be nosy and have a look how the Afro German singer Y´akoto, who had a furious premiere at our festival in 2011, evolved. She is going to present songs of her brand-new CD for the first time. Celebrate a wild Caribbean Carnival party with the “young-at-heart” Jolly Boys and Calypso Rose. 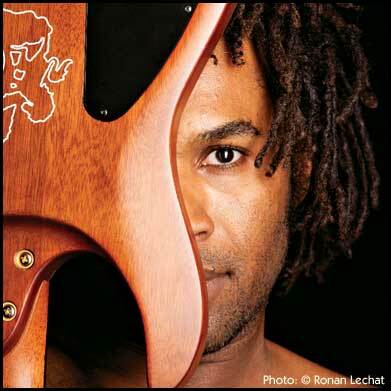 And be curious about African music “Made in Würzburg”- when Pupkulies & Rebecca meet the Cape Verdean singer and guitarist Tibau. Finally we are glad to introduce the Senegalese singer Cheikh Lô, who was on our wishlist for a very long time. Once again the TV station ARTE is media partner of the Africa Festival. Just like last year it is planned that the most important concerts of the festival will be recorded and available online at “ARTE Concert” concert.arte.tv die wichtigsten Konzerte des Festivals. We made some minor changes at the festival ground, but donʼt worry - you won´t miss proven things. At the ARTE cinema tent, you can get inspired for a journey to the African islands. Of course, you also have our kids programme and the big bazaar, where you will find handmade craftwork, fashion and a lot more. We are looking forward to welcoming you aboard for our journey through Africa. Gasandji - that's a new name in the African music scene. The young fashion-conscious lady with her distinctive, crazy hairstyle is from the Democratic Republic of Congo. Nowadays she lives in Paris. Her name means something like: The one who creates consciousness. And that's indeed what she does with her glamorous voice and her filigree songs in which the traditions of her home melt together with soul, pop, reggae and a bit of jazz to an urban style that doesn't deny its origin. Her first album was published in September 2013. 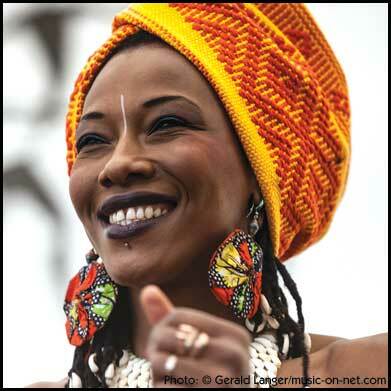 In France, she stands on a par with stars like Lokua Kanza, Erykah Badu, Keziah Jones and Rokia Traore. This year she's coming to Germany for the very first time. It's your own fault, if you try to resist her charm and magic. Gasandji definitely is the insider tip of this year's festival. Ever since she released her debut album "Fatou" in 2011 her popularity steadily increases. She already proved her talent at the 25th Africa Festival on the Open Stage. She even got awarded with the Africa Festival Award 2013. When the song poet learned from the extent of last yearʼs flood, she spontaneously decided to play again in Würzburg. On stage, the composer, singer, dancer and guitarist is a real pleasure for eyes and ears. But she also knows how to transmit important content - as a fighter and ambassadress for peace, freedom, justice and womenʼs rights. 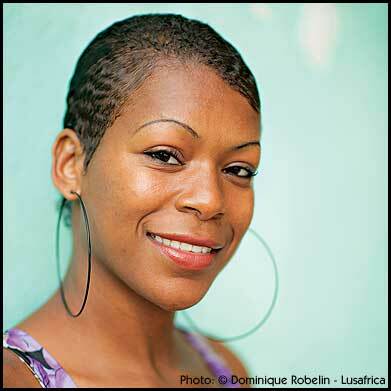 The singer and composer Mayra Andrade is part of a young generation of Cape Verdean musicians. Following the legacy of Cesaria Evora, they brought the music of Cape Verde back into the spotlight. Based on their traditional roots, they opened up for new influences such as Pop and Chanson. In 2006, the Africa Festival presented Mayra for the first time. At that time, the 22-year-old singer and composer was rather traditionally oriented. Nowadays, she is stylistically open and refers to her new album “Lovely Difficult” as Cape Verdean Pop Music – not denying her origins. The 28-year-old, sings in French, English, Portuguese and Creole. Today, she is one of the most important voices of Cape Verde. Five years after the legendary Andy Palacio passed away – his former band members, the Garifuna Collective, continue his mission and bring it into the future. Palacio, who gave a memorable concert at the Africa Festival in 2007, had the aim to save the music of the Central American mini-state Belize and to make it accessible for more people. Shortly after the release of his CD “Watina”, Andy Palacio died from a heart attack in 2008. His former band members needed five years to recover the shock until they became active again in 2013 with their new album “Ayo” – but with a slightly different constellation. Now theyʼre back and the collective of men and women shows that the Garifuna music didnʼt loose any of its appeal. Driving rhythms - played on traditional drums, intense call and response-chants and all kinds of stringed instruments create an infectious conglomerate that draws deep from Africaʼs history. The Jolly Boys are a music group from Port Antonio in Jamaica. 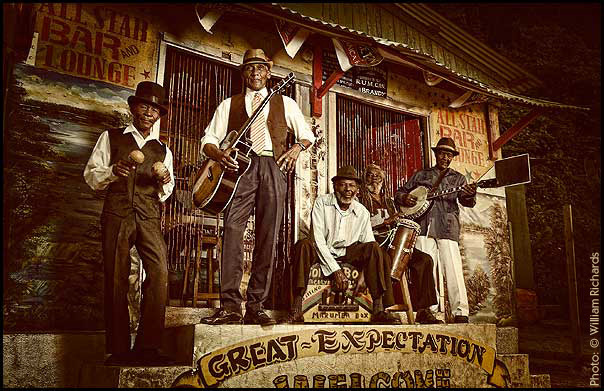 For nearly 60 years, the band, with its original members, still plays the Mento - the traditional Folklore Music of Jamaica. A music style that is considered as predecessor of Ska and Reggae. The most important Mento instruments are banjo, guitar, maracas, bongos and the rumba box (a sort of Cajon). In 2009, after a long and busy career, they were rediscovered by producer Jon Baker who made them record an album with famous rock hits in the mento sound. This abruptly brought them back into the spotlight. Whoever wants to know how “Rehab” from Amy Winehouse, “Riders on the Storm” from the Doors or “Ring of Fire” from Jonny Cash sound like when they are rotated by the “Mento-mill”, needs to listen to these young-at-heart old men. Party and fun guaranteed! When Calypso Rose from the Caribbean island nation of Trinidad and Tobago is dancing on stage and joking with the audience - you hardly notice her 74 years. That's when she develops an irresistible energy and power - wrapping her fans around her finger with the help of her broad smile - in seconds. The Calypso Queen, who has written around 800 songs and recorded 25 albums, emits charm and charisma which is hard to resist. 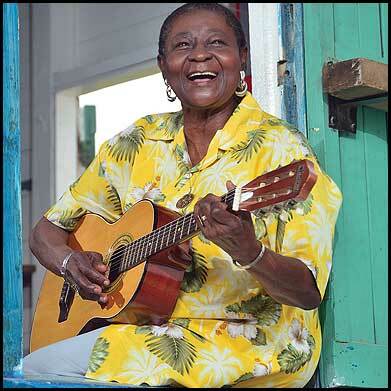 They call her "Queen of Calypso"- and she really is a true ambassador of Caribbean music. The talented performer creates a hot Calypso-party and literally transforms the atmosphere into the Caribbean Carneval. 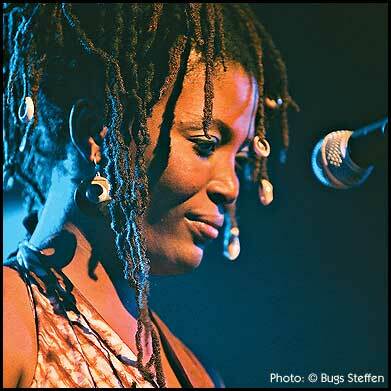 In 2011, the Afro-German singer Yʼakoto delighted the audience at the Africa Festival with her jazzy Afro-Soul from her debut album “Baby Blues”. The daughter of a Ghanaian father and a German mother was born in Hamburg, but spent very much of her youth in African countries such as Ghana, Togo, Cameroon, Chad and Niger, together with her parents. Thatʼs how she became a wanderer between the worlds and this is also reflected in her music, which draws from various sources. She commutes restless between styles and forms them to a new whole. Nothing seems strange to her and she doesnʼt fear any contact with new music. 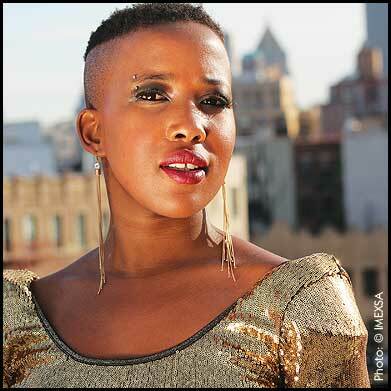 She combines Pop, Jazz and Soul with a significant Afro-Approach and puts them together to an own, individual style. And not to forget - her strong stage presence. For this yearʼs Africa Festival - Yʼakoto is going to present her brand new album which will be released in early 2014. 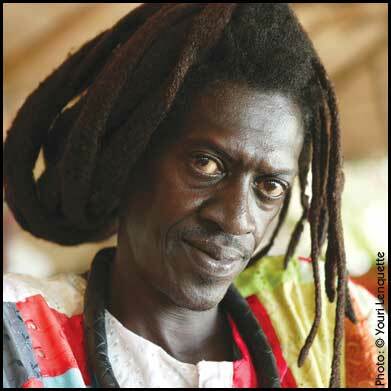 The singer and guitarist Cheikh Lô comes from a small town called Bobo Dioulasso in Burkina Faso near the Malian border. The son of Senegalese parents, who went to Dakar in 1978, is difficult to classify when it comes to his music. He grew up with Cuban Son and Salsa and soon added Senegalese Mbalax, Wassoulou from Mali, but also pan-African styles such as Highlife, Funk and Afropop, to his music. Until today, the man with the impressive dreadlocks, has remained loyal to this ecstatic grooving mix. Alongside Youssou N'Dour, he is one of the most important voices of Senegal and we finally managed to invite him for the Africa Festival. The singer and percussionist Biboul Darouiche from Cameroon and his band Soleil Bantu enrich polyrhythmic Afrobeat and Afrojazz with a spicy breeze of Rap and Pop. Darouiche himself as well as drummer Christian Lettner, guitarist Martin Scales and keyboarder Michael Hornek play at Klaus Doldingers legendary band “Passport”. The versed musicians don´t have any trouble to play this racy style mix and the audience will have high spirits within very short time. At home, the South African singer Nomsa Mazwai is getting predictions for a great future. Originally she is from Johannesburg and grew up in Soweto. She already found her own style of music, where she puts together her poetry texts with elements of Classic Jazz, Drum & Bass, Neo Soul, electronic tones and African rhythms. Even though she is at the beginning of her career, her first CD has been awarded with the South African prize for the best African alternative album. Malaika Kanza from the Democratic Republic of Congo gained her first musical experience in the band of her famous father Lokua Kanza, who is a popular regular guest at the Africa Festival. Now she is starting to promote her own career with her extraordinary voice. Musically she follows the traces of her father, but you can also clearly recognize her own style. Debademba means „big family” in the language of the Bambara. 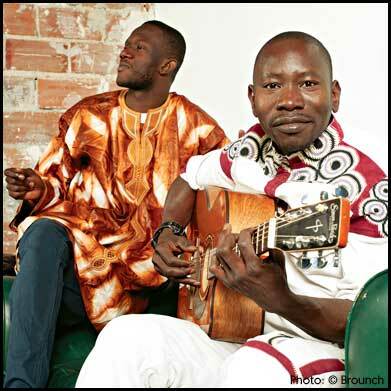 In the center of this family are the virtuoso guitarist Abdoulaye Traoré from Burkina Faso and the expressive singer Mohamed Diaby. The duo doesnʼt know any fear of contact. Therefore you will find Mandingue structures, Arabic influence as well as rocky and bluesy tones in their songs. It is amazing that this variety of musical influences create such dense and homogenous songs, which are able to cast the audience into their spell immediately. The singer from the Caribbean island Guadeloupe was supposed to play at the 25th Africa Festival - but unfortunately her planned concert literally fell into the (high) water. She already got in touch with music as a teenager, because her father played drums with the Zouk-pioneers Kassav. Her songs are characterised by irresistible melodic richness and a happy ease. Best example: her hit “Rise in the Sun”, which musically lets the sun shine. For the very first time, thereʼs a guest from the Comoros at the Africa Festival - the singer and guitarist Mounawar. The archipelago forms a little state in the Indian Ocean between Mozambique and Madagascar. If you listen to Mounawars headstrong music, you might think that at his concerts the funk is at home. The musician also plays silent tones and besides his accented guitar play, he fascinates with his extraordinary voice. He sings his lyrics in the national language Comoro which is derived from Kiswahili. For more than 13 years the musical caravan has been going through the countries with their ritual Gnawa music. They combine traditional instruments like Gimbri, Oud and metal castanets with accordion and the guitar. The Gnawa are an ethnical minority in Morocco, whose ancestors were slaves from West African countries, who have been displaced by force and sold. You will also find the origins of Flamenco in their music. The collective of musicians from the island La Réunion brings traditional Maloya music to the modern age with their pushing rhythms. Maloya traces back to the African slaves, who have been displaced to be exploited for the sugarcane harvest. 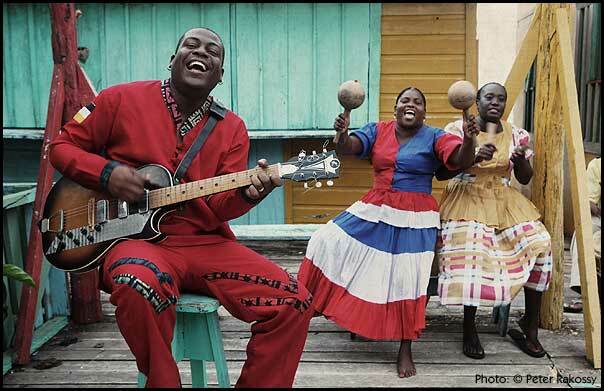 The “Blues from Réunion” has not been rediscovered until the 1970s. The focus is on percussion instruments like vibrating bells and drums. This is something new: African music from Würzburg. The electronic duo Pupkulies and Rebecca normally live in another musical scene. 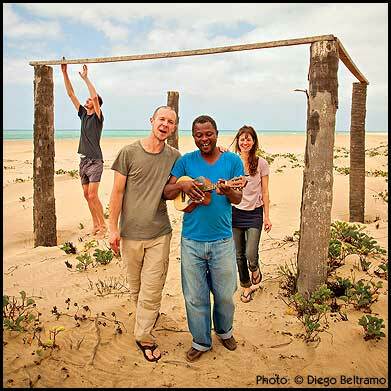 But now they got together with the Cape Verdean singer, guitarist and composer Tibau Tavares. Now both worlds of Chanson, House and Pop as well as the Cape Verdean Folk songs seamlessly connect. World Music without frontiers. 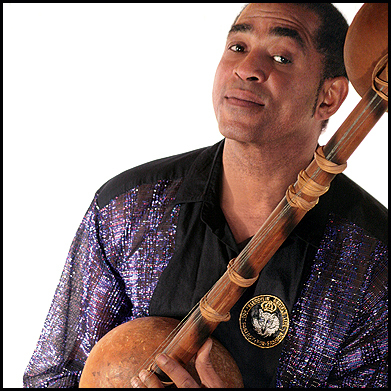 The singer and guitarist Erik Aliana comes from a rural area in the north of Cameroon. At an early age he already got in touch with the urban culture of the capital city Yaounde - where he also went to school. 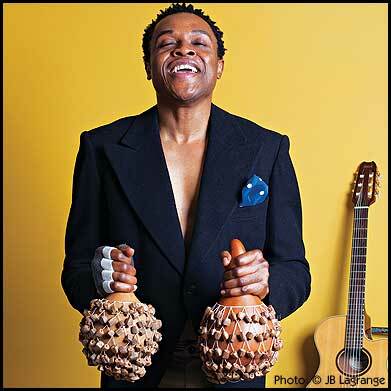 In 1999 he founded his band Korongo Jam, which still plays together. The hallmark of the band are easy going songs with infective melodies. The singer Neuza comes from the Cape Verdean volcanic island Fogo. Her mother, a famous singer, died when Neuza was six years old. To find a job, she went to the capital city Praia to work as a waitress at a music restaurant. She constantly performed at this place - where she was discovered by a producer, who was astonished by her crystal clear voice. 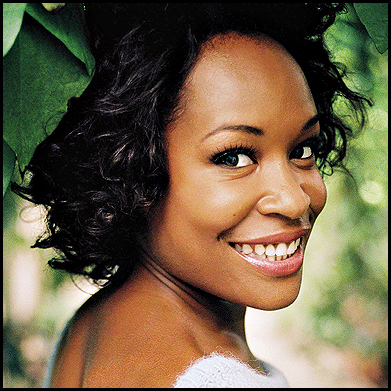 In 2013, she released her first CD “Flor de Bila”, which had greatsuccess at the Cape Verde, as well as in Portugal.